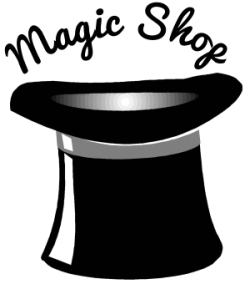 Kent Cummins − It’s National Magic Week…Because of Houdini! But for those of us who saw the 1953 Houdini movie starring Tony Curtis and Janet Leigh, we have to remember that he did NOT actually die as a result of the Chinese Water Torture Cell. It may have been a dangerous escape, but he performed it successfully many times. He died of appendicitis. Well, the death certificate said “peritonitis,” an infection that was brought on by his ruptured appendix. I have often wondered why the producers of that movie decided to dramatize his death with a fictitious scene. After all, the truth of Houdini’s life and death (to the extent that we can actually discern the truth) are incredibly fascinating. But for many years, the general public assumed the truth of that scene from the movie. So what is the truth? The generally accepted story concerns two McGill University boys who visited Houdini in his dressing room on the afternoon of October 22. 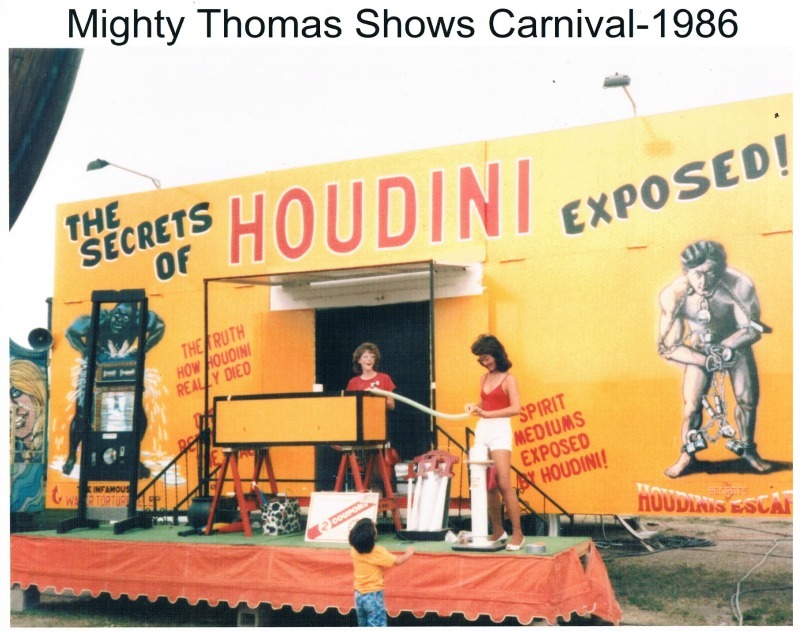 One student, Gordon Whitehead, asked if it was true that he could withstand strong blows to the stomach, and Houdini—who as a short Jewish boy seemed to overcompensate with exceptional pride in his physical prowess—mumbles yes, that it was true. But Whitehead then hit him violently, four times, before Houdini had a chance to prepare for the blow. Still, “The show must go on!” Despite being in obvious pain, Houdini flexed his muscles and invited the boy to hit him again. This time, it was like punching a wall. Apparently, however, the damage had been done. 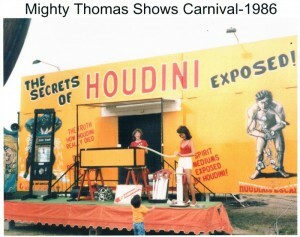 Houdini continued to be in severe pain, but he insisted on performing each night. (One can almost hear him saying, “I am the Great Houdini!”) Eventually, he collapsed. At his wife Bess’s insistence, Houdini was rushed to the hospital the next day, where his ruptured appendix was removed, but he had waited too long. In an era before antibiotics, the infection was something from which Houdini could not escape. It must be true…it was published in a magazine! A noted collector of Houdini memorabilia, Arthur Moses, once showed me “A monogrammed pocket from the pajamas that Houdini was wearing when he died!” We know it’s true, because the seller signed a letter of authenticity. Harry Houdini probably knew the truth, but all attempts to contact his spirit from beyond the grave have been disappointing. 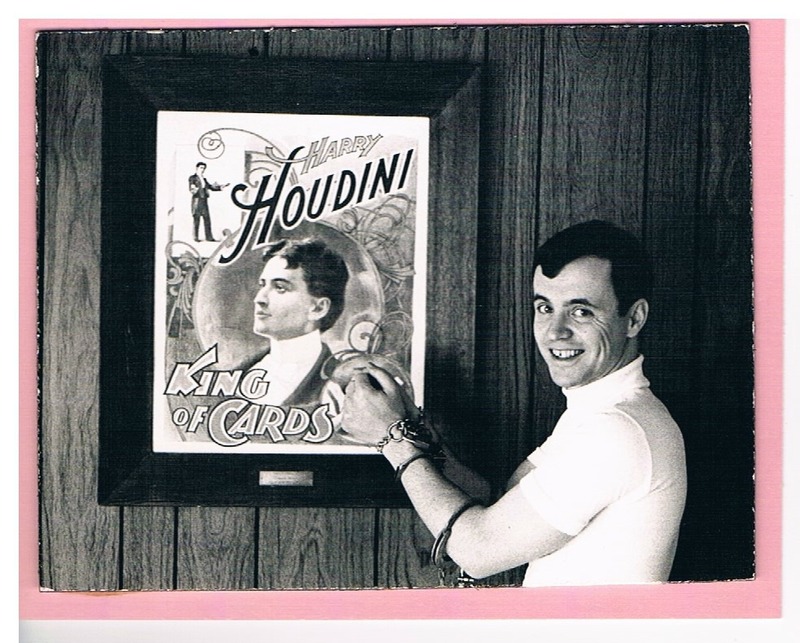 Various “Houdini Seances” have been held every year since his death, but I haven’t seen anything that convinces me that he has communicated with us. My uncle, the Reverend Vernon R. Cummins, was the founder of the American Spiritualist Alliance, headquartered in San Antonio. As a boy, I used to sit in his office and read The Psychic Observer, looking for articles about Houdini. But Uncle Vernon never reached out to contact Houdini’s spirit. Regardless, “Happy Magic Day, Week, and Month.” The Great Houdini lives on in our memories, even 89 years after his death. Your comments and context are always welcome.